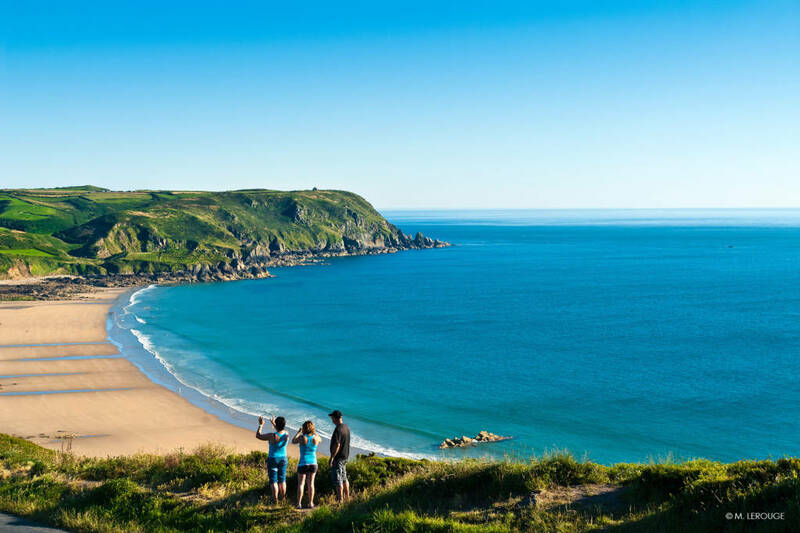 The 360 km of coastline boasts long sandy beaches, cliffs, dunes, river estuaries and ports, and the changing tide and sky means that every hour you have a new landscape. At low tide the enormous beaches have space for shell fish, sand yachting, land windsurfing, and kite flying. At high tide why not take a boat to the islands, go for a swim, discover kite-surfing and paddle boarding? Those who love trekking on foot, by bike or horse, will enjoy the changing landscapes created by variations in the tide and light. The tide is low? Discover exciting sports using the power of the wind such as sand yachting or land windsurfing, as a family or with friends. Want to relax with the kids? Build a sand castle, teach them to fly a kite, or look for shell fish – success is guaranteed! 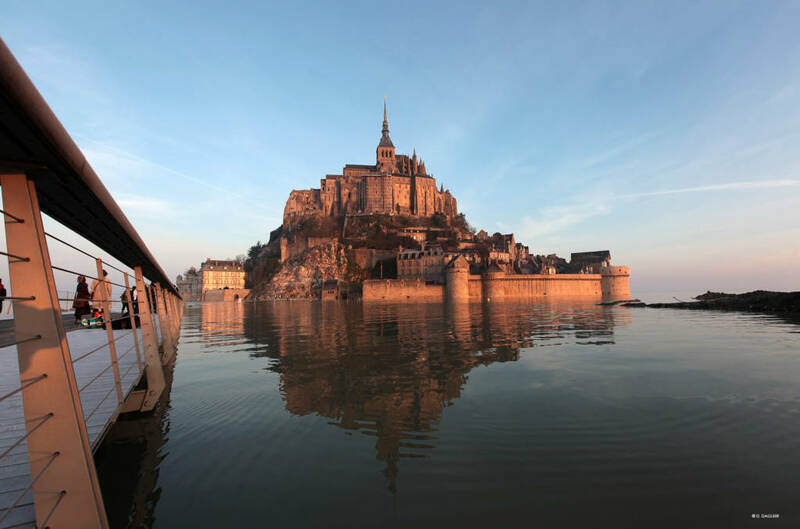 Make the most of the spring tides to discover or revisit the Mont Saint-Michel now the causeway has been removed. Choose a period when the tidal coefficient is over 90 and go to the Mont Saint-Michel where you will witness the rising tide and the “mascaret” – a spectacular natural wave-like phenomenon. Wander the little passages of the village cut off from the continent and feel the spirit of this unique site. 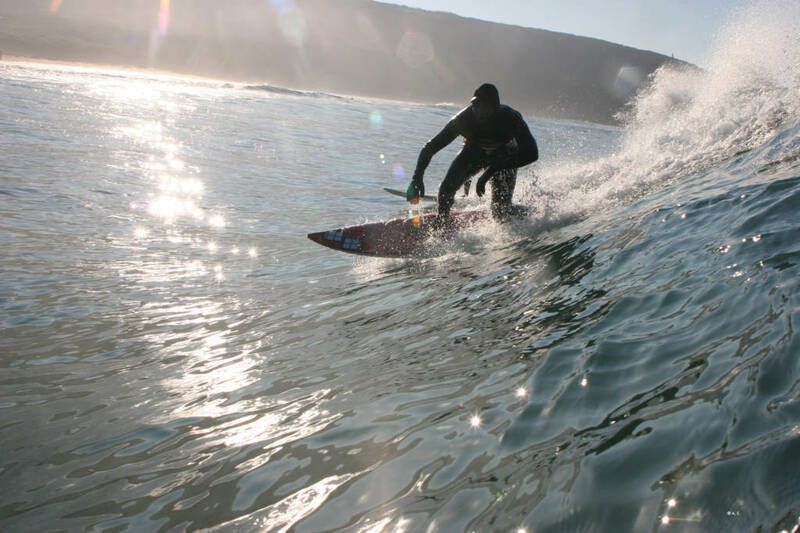 At high tide try windsurfing, surfing or sea kayaking. Walk along harbour and watch them filling with water. Want to do nothing? Simply lie on the beach listening to the waves lapping or crashing on the beach!